Drivers should be familiar with the different kinds of field sobriety tests they might encounter on the road. Police are serious about drunk driving citations, and field sobriety tests, also known as FST’s, are becoming more and more common throughout the nation. To combat the high failure rate of FST’s, the National Highway Traffic Safety Association created standardized tests that called SFST’s. If a police officer is suspicious of drunk driving, he or she will pull over a vehicle and ask the driver to submit to a field sobriety test. Police use a failed SFS as evidence to convict someone of drunk driving or DUI (Driving Under the Influence). An FST is a divided attention test because many aspects of our attention are required when driving. The National Highway Traffic Safety Associate has specific, standardized guidelines for the way police conduct tests on the road. Field sobriety tests are part of the third, pre-arrest screening phase. There are many types of test officers use to determine whether or not a driver is intoxicated. Here are some standardized field sobriety tests and their descriptions. The HGM measures the involuntary jerking of the eye or nystagmus when the participant gazes to the side. It is the first test administered by a police officer. First, they will hold up an object up close to the driver’s face, and ask the driver to keep their eyes on it as the officer slowly moves the object to the side. The officer watches for jerky eye movement, which is a sign of being intoxicated. The WAT is one of the psychophysical tests that officers use to make someone divide their attention by performing mental and physical tasks at the same time. It is also known as “walking the line.” During the walk-and-turn test, the officer observes the driver getting out of the vehicle and walking in a straight line down the road. They have to put one foot directly in front of the other. Then they have to turn around and walk back the same way. The OLS is another psychophysical test that requires the suspect to divide their attention. The driver will stand in front of the officer and lift one leg off the ground. They then have to remain in that position for 30 seconds. The officer watches to see if they lose their balance. The preliminary breath test, also known as a roadside breathalyzer, is used to determine whether the officer needs to arrest the driver. 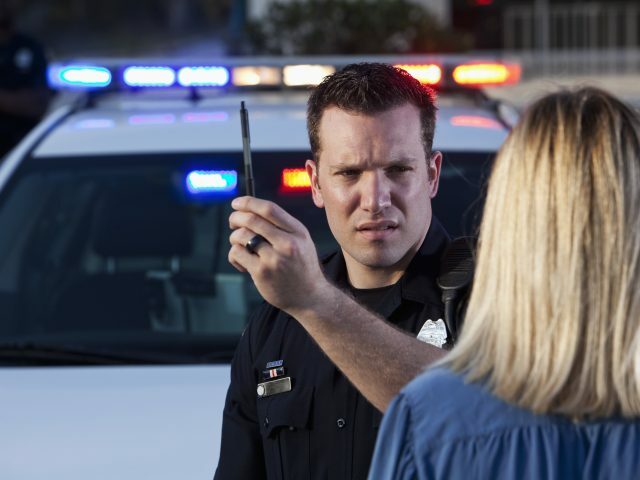 The officer uses the preliminary breath test results as probable cause, but it is illegal to use them as evidence in a court case. Also, submitting to a preliminary breath test is required if an officer reasonably suspects that you are intoxicated. When an officer asks you to perform a PBT, you are legally required to submit to it. However, if you refuse, the penalties are a fine and not the loss of your license. The officer may ask the driver to touch their finger to their nose with their eyes closed. The driver may have to stand in the road with their feet together and head back and keep their balance. The officer may ask the driver to recite the alphabet forwards or backward. The officer may ask the driver to count backward or count their fingers. The results of failing a field sobriety test are significant. Getting arrested for drunk driving comes with severe consequences. For a first DUI, the penalties may be fines, license suspension, community service, or even probation. Depending on the circumstances, the judge may choose to inflict other punishments, including jail time. In addition, a second offense DUI in Rhode Island results in mandatory alcohol treatment, costs of over $1,200, license suspension of up to 2 years, and a mandatory minimum of 10 days in jail. In addition, the driver may also serve up to one year in jail. Field Sobriety Tests are not perfect, and can often are not reliable. If you fail a field sobriety test, contact a DWI attorney immediately to find out what your next steps should be. Remember, driving after drinking is deadly. If you plan on drinking, do not drive and make sure you have a plan to get home safely. You can call a taxi, a friend, or use the NHTSA Safe Ride app that will locate you and call a cab or friend for you.